Would you like to see Fisker here? when this profile is activated. Claim your brand profile now! Thank you! 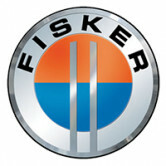 Your request for Fisker has been submitted. We will be in contact with you to discuss transferring ownership.